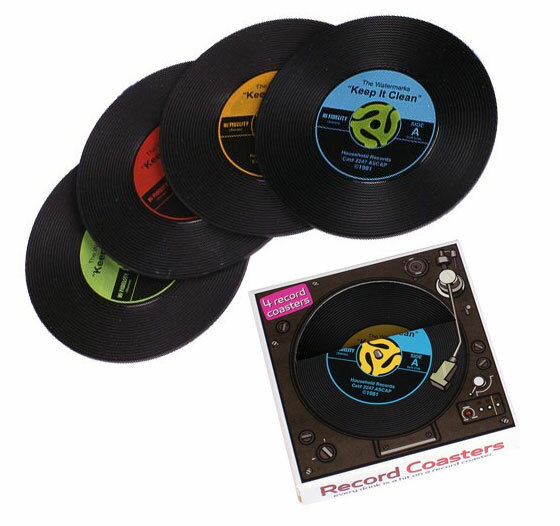 Coasters are a great gift, an awesome way to add some color to a room or end table. 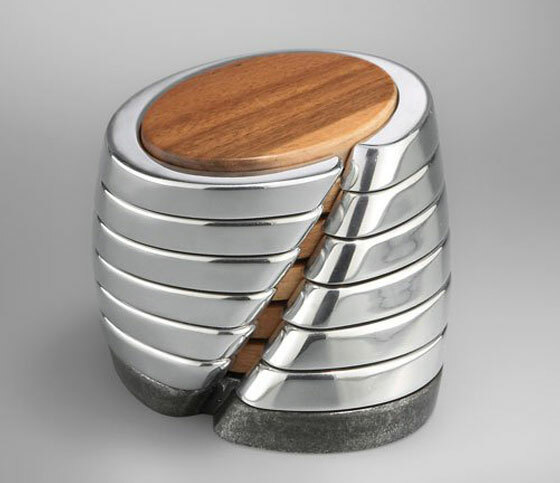 Anyone who use coasters is always looking for something unique, something unusual, or just some cool designs. 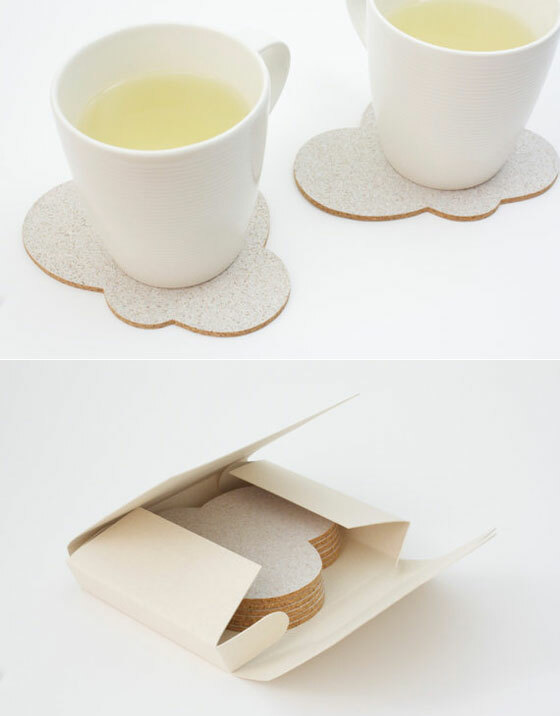 Well here is your sober chance to take a look at some clever and creative coaster inspiration. Hope you like them and you also can check our previous post about “15 creative and unusual coaster designs” if you want to see more cool coaster designs. The coasters are made from Portugese cork, are dirt and water resistant, and come packaged in a fancy recycled paper box. 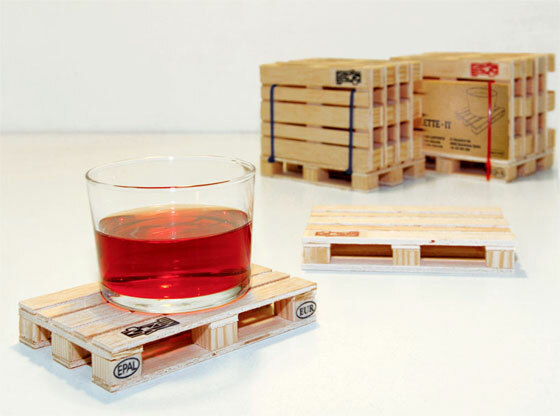 Luckily for them, Spain based design duo labyrinth (doron andre hadar from israel and carmen dullnig from Austria) has scaled down the standard euro pallet to one tenth of its size, creating these stack-able palette coasters that are exact miniatures of the industrial models, right down to their quality stamps. 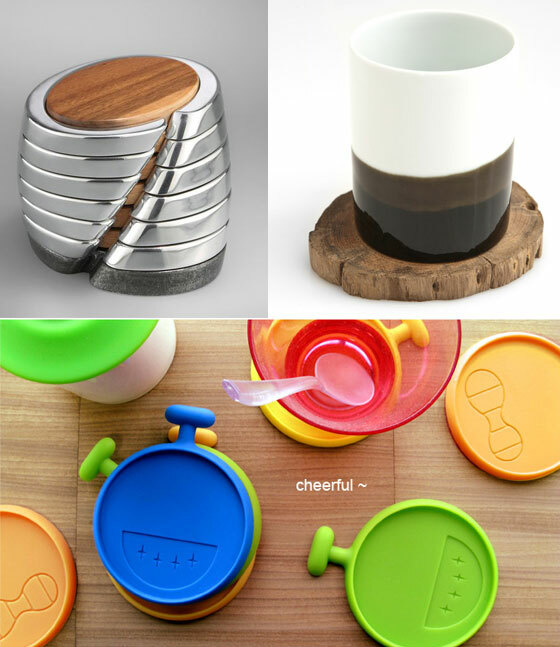 You give them a fun place to stay, and in return, the durable coasters will do all the heavy lifting to keep your drinks off the table. Put your cup on CheekyMe. My face is disfigured. Oh! So shamed! Besides cups, you can put some little things like clips and coins on skid-proof me. Now you won’t see my annoying face anymore! Leaving their school days behind, these chalkboards from Franklin Elementary School in Quincy, Illinois are now stylish and sturdy coasters. Features reclaimed wine cork feet to keep them from slipping and scratching the table. Includes a piece of chalk. Sold in a set of 4. Handmade in Wisconsin. 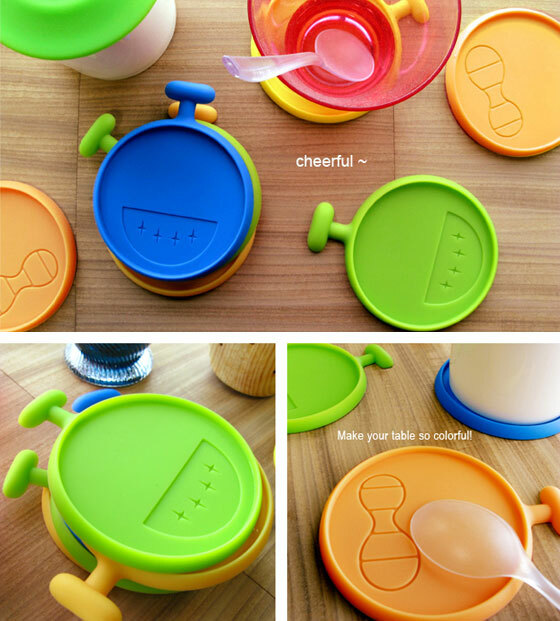 Preserves memories and tabletops too! 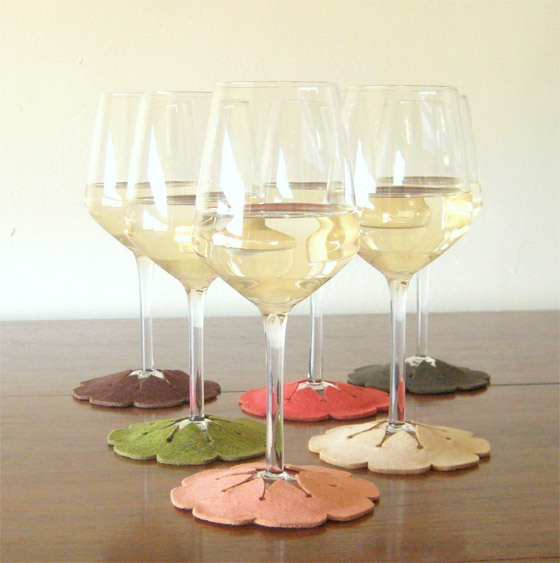 Fill these coasters with keepsake corks so only wine memories remain not furniture stains. 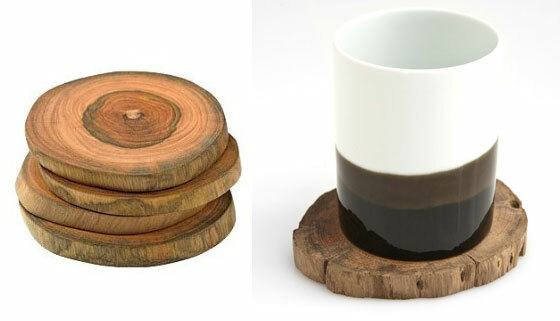 A fun eco-friendly way to turn your love for wine into handsome home accents. We supply the solid mahogany frames and instructions. You supply the wine corks and imagination! Mahogany sourced from sustainable tree plantations. Set of 4. Click here for sample cork patterns. 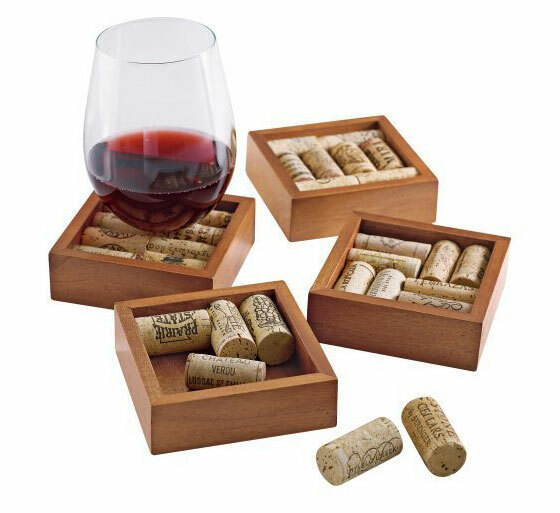 Size: 4-1/4’L x 4-1/4’W Approximately 8 wine corks are required to complete one Wine Cork Coaster. Nothing says cozy like a bear skin rug. A true sign of luxury is the bear skin rug complete with the full head and open mouth. 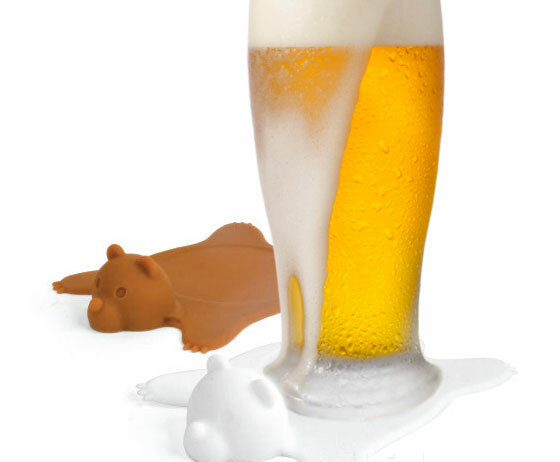 Well, turn that idea on its head and you get our set of four bear coasters in silicone! Two each of brown and white bears will set under your glass and add whimsy to your obsessive protection of surfaces from moisture. 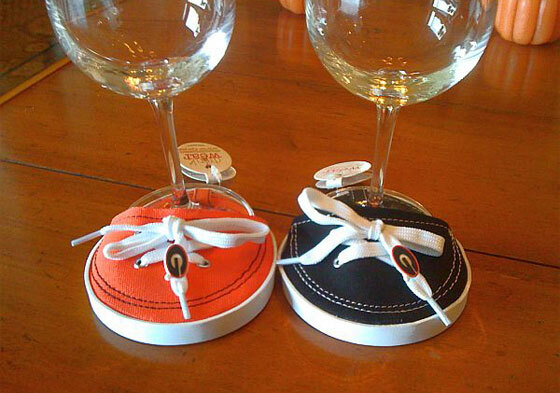 Coasters and wine glass taggers in one simple design! Slip these on before you fill your guests glasses and they can carry their drinks around and put down on your favorite piece of hardwood furniture or wherever they want without causing you any stress. Your guests will find their drinks easily and the host can relax and enjoy their own party. Mix this set with Citrus – a different but matching shape of slip on coasters in same colors for set of 12, and if your party is really big this set also comes in another color combination. The University of Georgia Coasters – Wine Sneakers include one red tennis shoe coaster and one black tennis shoe coaster with the Georgia logo on the shoelace. 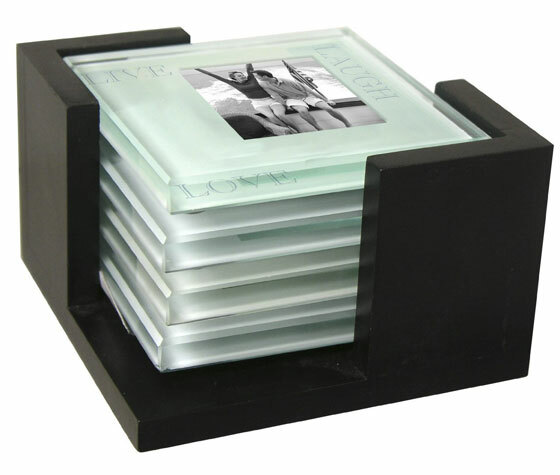 Yes, they’re wearable team tennis shoe coasters… for the foot of your glass designed by Carrie Olsen Garrard. Simple and beautiful, these teak crosscut coasters reveal intriguing patterns of growth rings, each representing one year in the life of the tree. Handcrafted in Costa Rica from sustainably harvested teak; your purchase helps protect and restore tropical ecosystems. 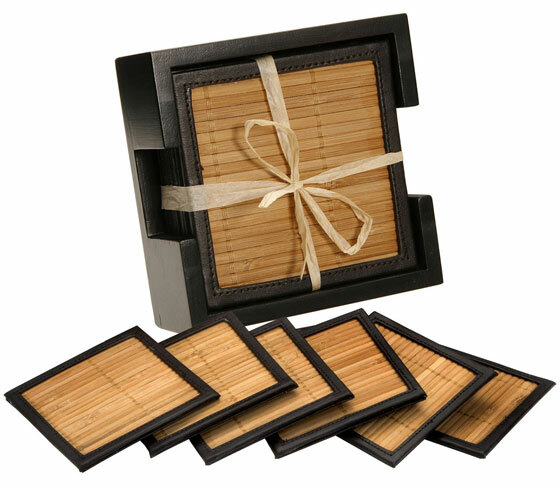 Thirstystone has combined nature and elegance with this set of 6 Bamboo and Wood Coaster Set. The coasters are made of absorbent bamboo and are backed with faux leather to further help prevent any damage to your furniture.